This is definitely a good way for the new principal to get in her students’ good graces! Dr. Donna “Mickey” Reynolds, the new principal at Lake Mary High School, wanted to make a good impression on her new students—after all, high school principals in general don’t have the best reputation. 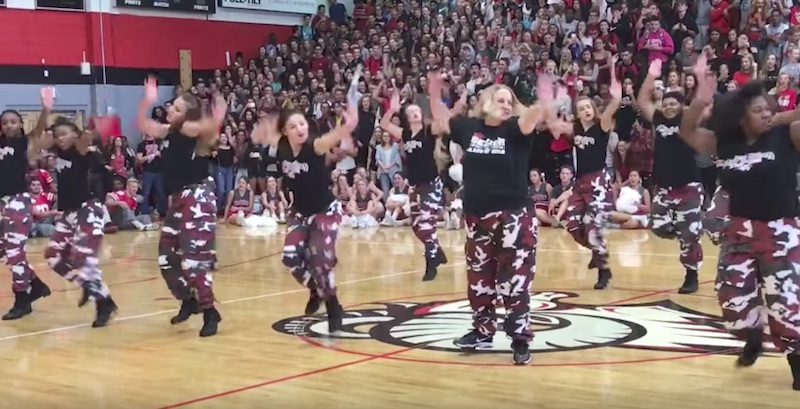 She planned to make her debut at a pep rally—not with a speech, but with a dance. The students didn’t know what to expect when she stepped out on the gym floor dressed like the school step team, but they loved every minute of her performance! If more pep rallies were like this, I’d probably have gone to more of them. Watch the full performance in the video down below!